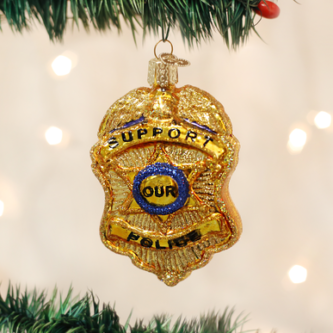 The Police Badge is recognized as a symbol of authority, and to the officers who wear it, it also represents their dedication and pride in providing public safety and service. Each department has its own badge, but many share similar symbols like the eagle, which denotes a strong and protective presence. 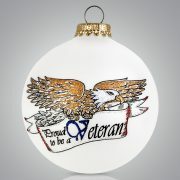 Say “thank you for serving our country”, with this beautiful veteran ornament. This line is handmade in the United States and can be personalized to fit your needs.